I work for a company called . I would really like to find out more information about . 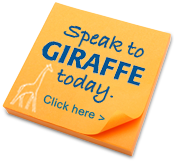 For further information on the services we can provide, please contact us by the email form above or alternatively please click on the map below for the Giraffe Access Centre nearest you.